Omkarsoft.com is an offshore web application development company based in India. We build fast and scalable web systems that reduce hassles and increase profits. Our organization specializes in offering a comprehensive array of offshore web application development services to our clients. We provide quality offshore website app development service, offshore webdesign, custom offshore web development outsourcing, offshore programming, interactive web sites, and database-driven websites development outsource services at extremely reasonable pricing that will fit within your project budget. We have experience serving a base of highly satisfied clients across the globe and the amount of repeat business speaks volumes of our credibility with them. 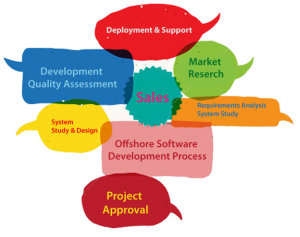 Top reasons why customers choose Omkarsoft for Offshore application development? Offshore web development services may include web app development, web design, effective internet marketing and more. With web development outsourcing, your business could be entitled on the web.